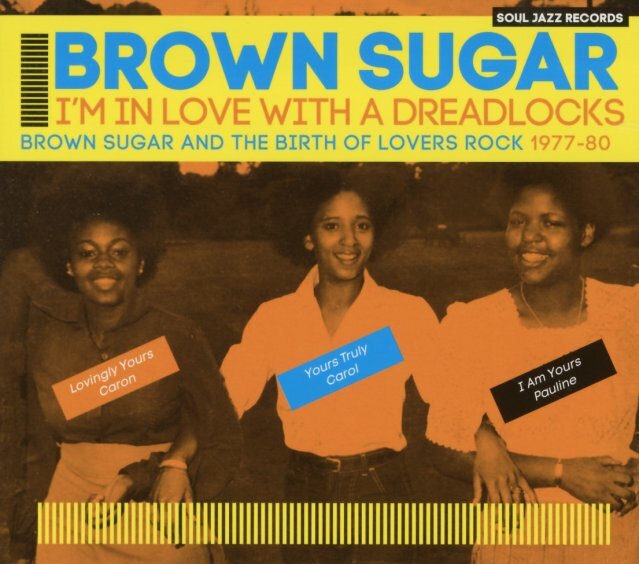 The first collection we've ever seen to do justice to the Brown Sugar trio from the UK reggae scene of the late 70s – a group who do a fantastic job of merging older sweet soul styles with a new lovers' vibe, all in a mode that's completely sublime! The group's noteworthy as the starting place of Caron Wheeler, who'd later rise to great fame in Soul II Soul – and Carol Simms, who'd later rise on her own as Kofi – but even without that later legacy, the music here is completely wonderful – and is presented with detailed notes, in a set that collects all the singles the trio recorded at the time with Dennis Bovell and John "Brownie T" Kpiaye. Brown Sugar are clearly influenced by the sweeter side of American group soul style in the late 60s – and even cover a few cuts from that era – yet they also have this bad-stepping style that really offers up the strongest current of the London style of the period – the crisper crackle and rootsier production approach that was really showing a scene coming into its own. Titles include "Black Pride", "Our Reggae Music", "Hello Stranger", "You & Your Smiling Face", "Loving Dreadlocks Dub", "Confession Hurts", "Proud", "Do You Really Love Me", "Hurtin", "Run Away Love",a nd "Dreaming Of Zion". © 1996-2019, Dusty Groove, Inc.